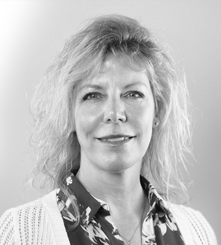 MIAMI – May 17, 2017 – CareCloud, the platform for high-performance medical groups, today announced the appointment of Shari VanLoo as Chief Financial Officer. With over 30 years of experience, her broad expertise includes corporate and financial strategy, equity and debt financings, IPO, SEC and financial reporting, and international tax and operations. CareCloud is the leading provider of cloud-based revenue cycle management (RCM), practice management (PM), electronic health record (EHR), and patient engagement solutions for high-performance medical groups. CareCloud helps clients increase profitability, streamline workflow, and improve patient care nationwide. The company currently manages more than $4 billion in annualized accounts receivable on its integrated clinical and financial platform. To learn more about CareCloud, visit www.carecloud.com.